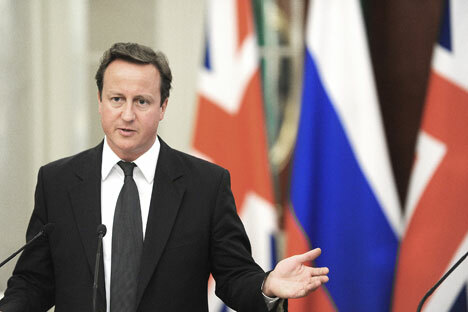 Russian President Vladimir Putin had a phone conversation with British Prime Minister David Cameron on May 25. The Russian president again congratulated Cameron on being reelected as prime minister following the May 7, 2015 parliamentary elections, the Kremlin press service reported. "Readiness for interaction with the British government for the purpose of restoring constructive cooperation both on issues on the bilateral agenda and on international issues, was restored," the press service said. Specifically, Putin and Cameron discussed the situation in the Middle East with an emphasis on the Syria issue and the fight against the terrorist group Islamic State. "Satisfaction with the effective joint actions taken by the Sextet in the negotiations on the Iranian nuclear issue was expressed," the Kremlin said. The conversation also addressed the situation in Ukraine.